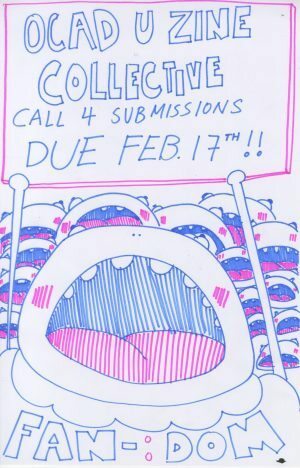 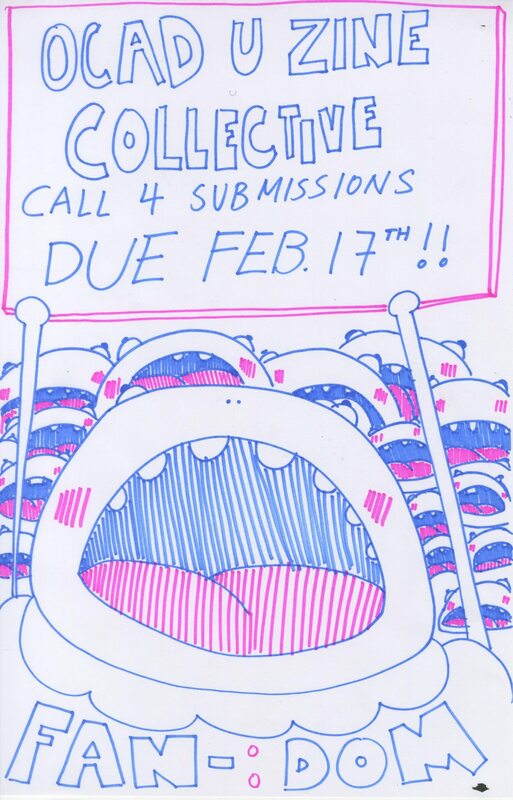 UPDATE: Submission deadline pushed to May 7th! 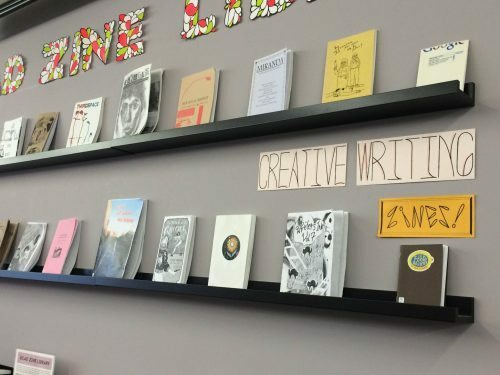 Next month the walls of the Learning Zone will be covered in creative writing by students. TEXThibit (which has an open call for submissions until January 31st!) 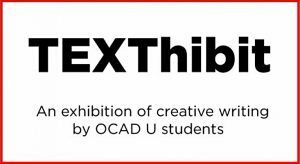 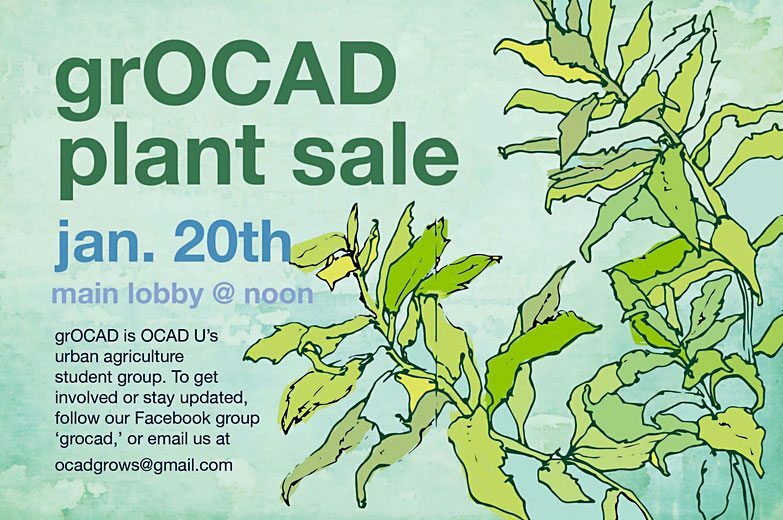 will be a visual display of large format creative writing. 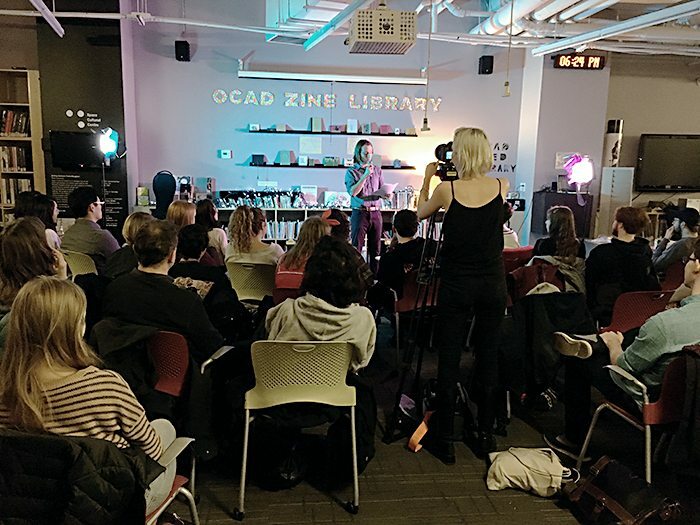 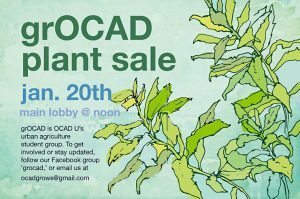 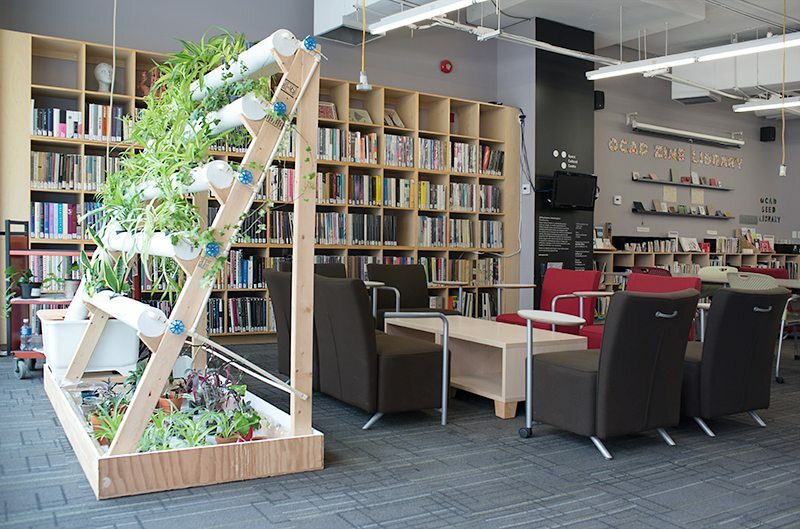 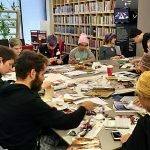 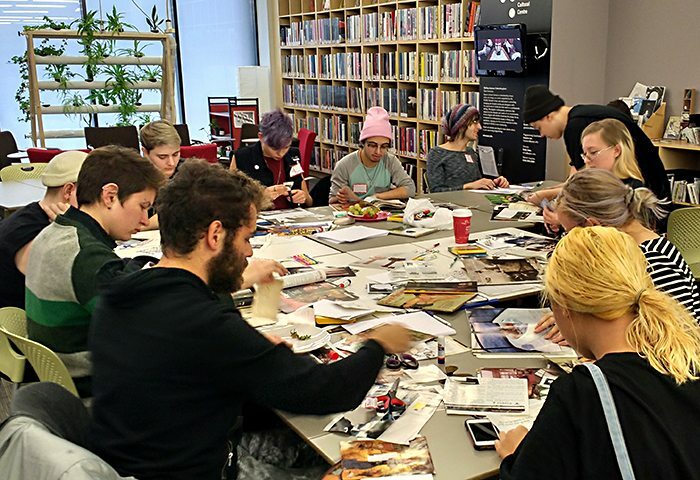 To accompany this exhibit, and maybe inspire some last minute submissions, the OCAD Zine Library is displaying an array of creative writing zines. 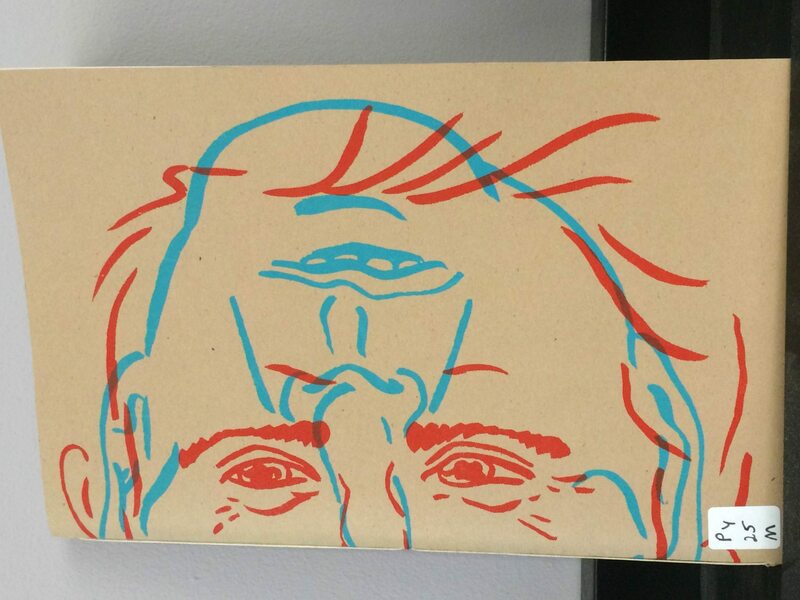 Oscillation by Ben Larson takes its inspiration from the movie Face/Off. 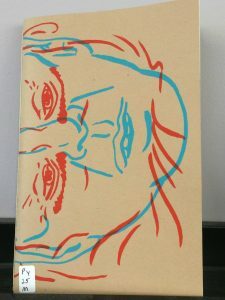 It’s a series of romantic poems detailing a love story between Nicolas Cage and John Travolta. 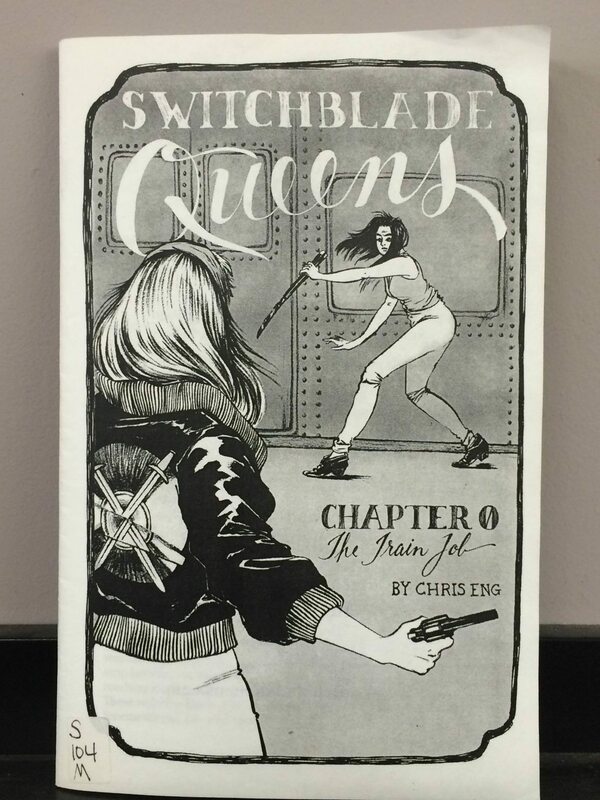 Switchblade Queens: Chapter 0, The Train Job by Chris Eng is the first zine in a series about a girl gang called the Shield Maidens who are the only hope for a city corrupted by police and criminals alike. 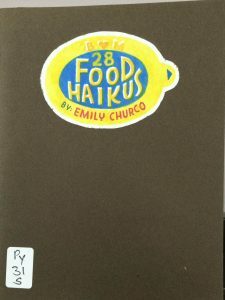 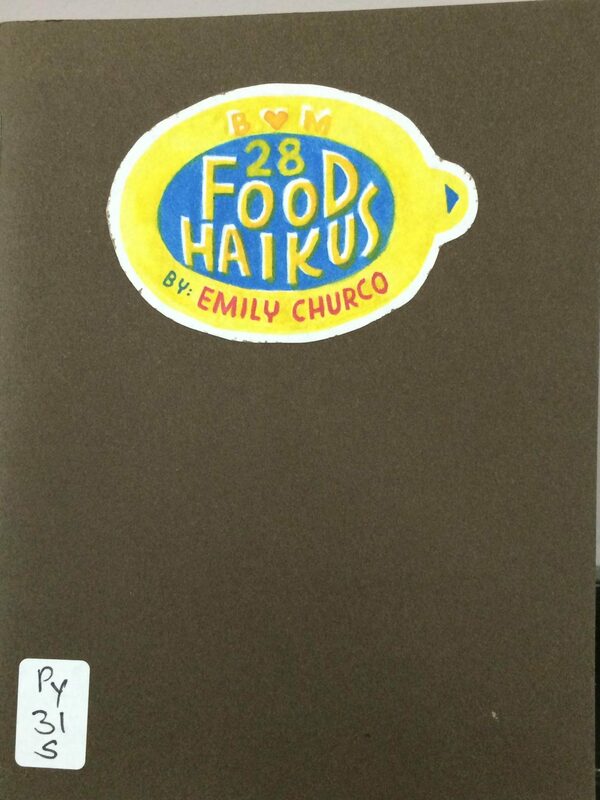 28 Food Haikus by Emily Churco is a fun illustrated mini-zine revealing the author’s favourite, and least favourite, things about food. 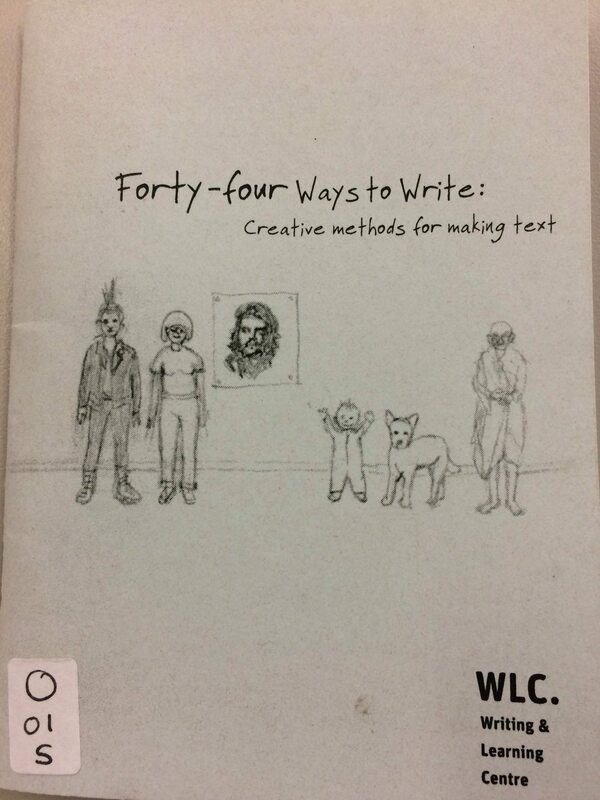 Forty-four Ways to Write: Creative methods for making text by OCADU’s Writing and Learning Centre may be the most practically helpful zine in the display for anyone looking for help with their creative writing. 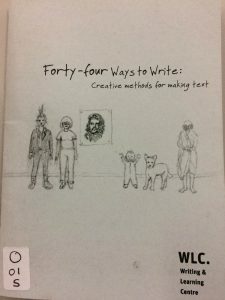 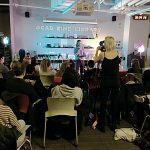 The zine is full of tips for writing including prompts to get you started, breaking barriers to writing by comparing writing to other creative practices, and exercises to get the creative juices flowing.